Blue HV Designer Canvas Shoulder Bag, Size: 13" X 10"
Specifications Size: 11" x 15" + 5"
Made out of 10 oz. cotton canvas, this cotton bag can be reused over and over again making it an apt give away the next trade fair show. We are the leading manufacturer and supplier of the Camouflage Canvas Shoulder Bag to our client. Description : Camouflage Canvas Shoulder Bag with Leather combinations having zipper pocket at the back.Interiors lined in pure cotton with a zipper pocket and a slip-in pocket. 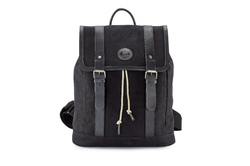 Crafted in triangle shape, canvas shoulder bags possess strong straps attached with metallic pieces. To be center of attraction in every celebration these bags are superb buy. 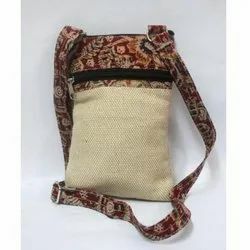 We are manufacturer of wide range of Jute Shoulder College/Messenger Bags.It is ideal for student, teacher as well as for any conference, seminar purpose. composition : outer fabric: 100% pes; lining: 100% pa; padding: 100% polyethylene.